The Shire Casita Shed / Casita Summer House - which is it? Featuriing the Optional Veranda with Decking. The answer is - You decide! 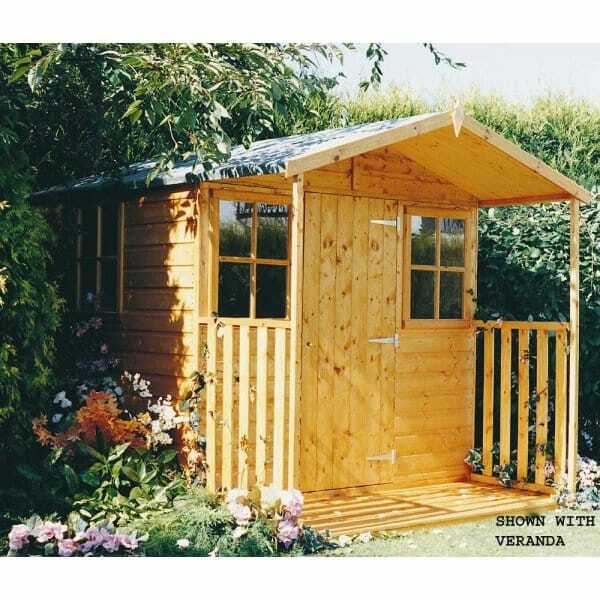 This Garden Summer House can also be used as a Garden Shed. It is exactly what you want it to be. With two opening criss-cross windows the excellent value Shire Casita Shed also becomes the Shire Casita Summer House and is the ideal summer house / shed for the smaller garden.